Leslie and I took our first long trip in our Toyota Tacoma camper last week, a trip full of some nice and some not-so-nice surprises. I’d been told a couple of years ago that Great Basin National Park in Nevada had some spectacular Bristlecone Pines and had wanted to go there ever since. Leslie read that they held a moonlight walk once a month and that appealed to her. So we decided to start our round trip at Great Basin. I knew it would be a long drive through mostly high desert country, and it was. After nearly a thousand miles of driving I was more than ready to stop at the Pony Express Trail Memorial along US Highway 93 north of Ely. 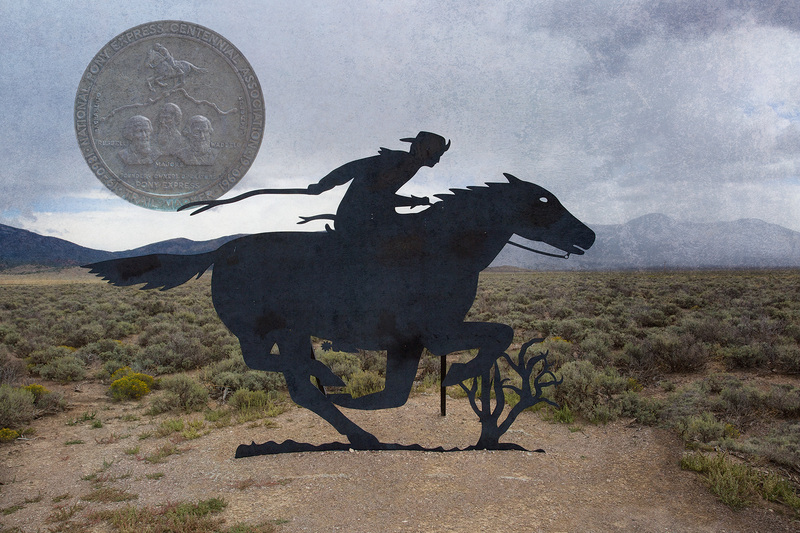 Of course, I’d long ago read about the Pony Express, but actually crossing the same ground they had to ride across gave me a deeper appreciation of their accomplishment. 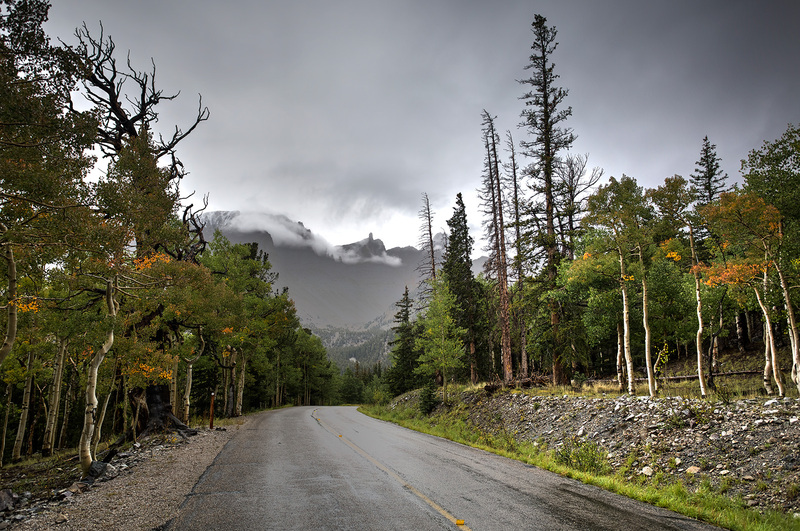 Unfortunately, the closer we got to Great Basin National Park the worse the weather got. If I’d had any sense, and a better weather forecast, I would have taken a lot more pictures on the way up the mountain, because the weather kept getting worse and worse as the day wore on. Our campsite, though, was quite beautiful. 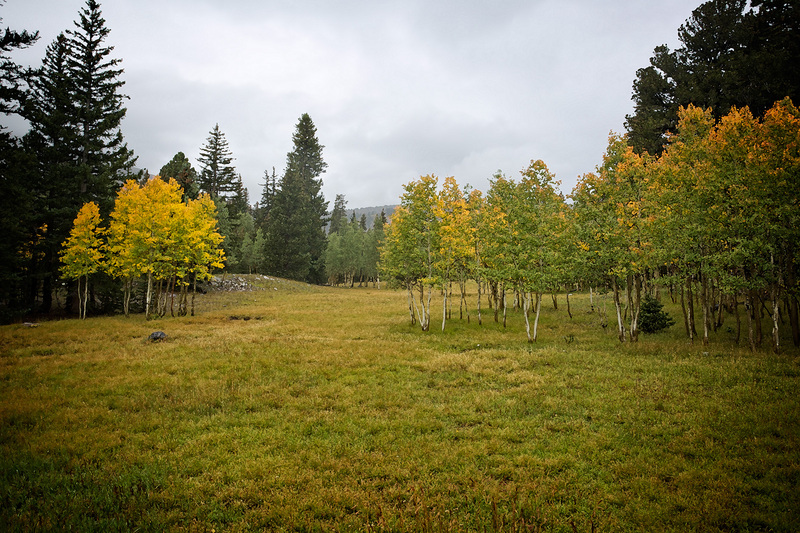 The birch trees had already started changing color at 10, 000 feet and even the meadows seemed a golden-green. Unfortunately, as the hour for the moon walk grew near, the skies were an ominous grey-black. We figured the walk would be canceled since there was little chance of seeing the moon, and we were right. The ranger told us that it was the highest percentage of rain they had ever gotten in the park. As it turned out, I was very glad that we hadn’t started out on the trail. Within an hour we were surrounded by lightning and pounded by the hardest rain I can ever remember experiencing. Of course, the aluminum roof on our pickup probably amplified the sounds of the rain. It turned out the storm was the result of their customary monsoons and the Hurricane that hit LA and Phoenix the day before. I think they nearly matched their annual rainfall in two hours. I must admit that for the half hour or so I enjoyed seeing the sky light up and immediately hearing the thunder shake the pickup. By the end, of the storm, though I was more than ready to go to sleep, but the storm kept me awake. It wouldn’t have been so disappointing if it had only rained that night, but the skies looked equally ominous the next morning when we drove down the mountain to visit the Lehman caves. Despite having driven nearly a 1,000 miles to see the Bristlecone Pines and the moon, I didn’t want to spend another day of our limited vacation sitting around waiting for the rain to clear. I figured if the trees had managed to last 4 to 5 thousand years, they would still be there when I got back the next time. Luckily, the trip wasn’t a total loss as the Lehman caves, which I’d never heard of before, turned out to be one of the highlights of our trip. 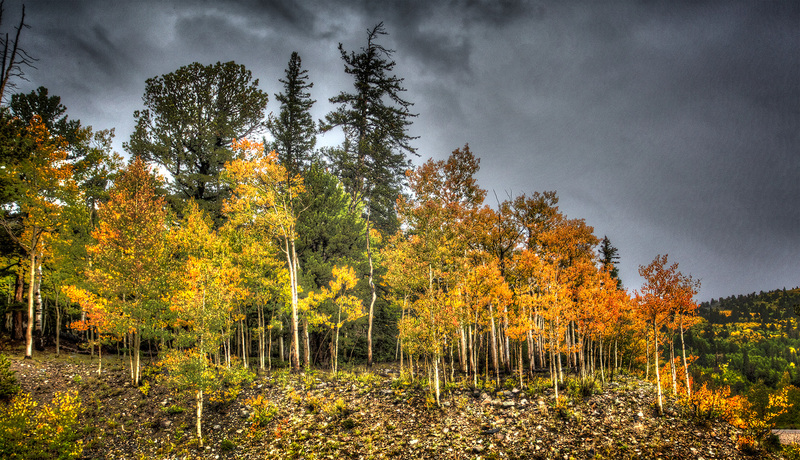 So glad you discovered Great Basin, a pretty well-kept secret among the national parks, Loren! Think we’ve been there three times now, and we have never not encountered wild weather for at least one day of our stay. One memorable lightning storm that we drove into from far away, all of it in front of us as we approached on a late (and very dark) afternoon…another breakfast where the wind was blowing so hard I was having trouble staying upright at the picnic table. Other time wanted to hike to the peak of Mt. Wheeler but got a late start, and it’s like the Himalayas in that way—you don’t want to be anywhere near that peak when the weather descends, as it started to when I got about halfway up, and not having a death wish, I turned back. And the cave is magnifico, eh? An all-around great place without the crush of crowds as at other parks; I’d go back in a heartbeat.. Yes, I’m sure we’ll go back, too, if for no other reason than to get some pictures of the Mountain peaks. I’ve met several people from Nevada who didn’t seem to know there was a National Park in their state. Sorry that you timing with the weather was off. I do hope you’ll have cave photos to share.